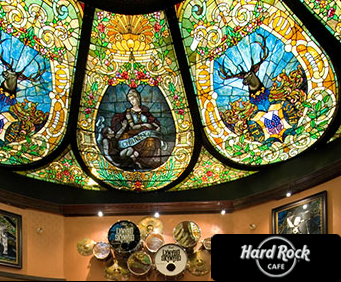 In the 1900's, the Golden Lion Tavern drew people to the Gas Lamp Quarter for fun and frivolity, and history hasn't changed much since Hard Rock Cafe took over the same location! The Gas Lamp Quarter is a renovated historic area packed with restaurants, clubs, and other attractions, sort of like a western Bourbon St&period; without the Cajun accents. 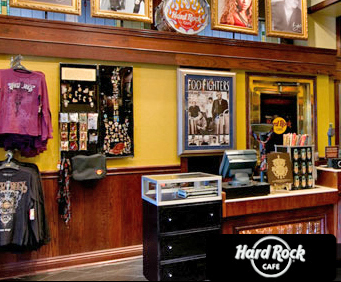 From Hard Rock San Diego you're in a prime location for day trips. 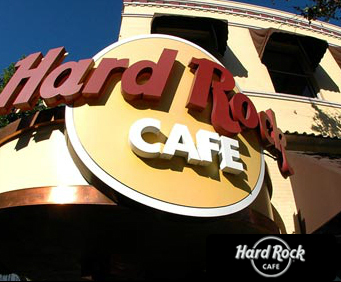 Journey to nearby San Diego Zoo Wild Animal Park, Sea World, Old Town, or Balboa Park, then come back and end your day on the right note with us. 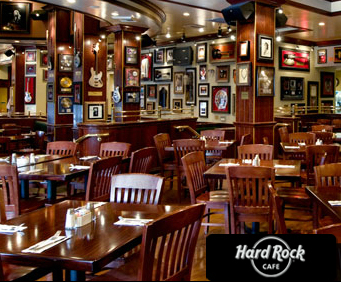 The Cafe's cozy confines will wash all that local culture out of your head in no time, allowing you to fill it with important rock 'n' roll history and trivia.